Dearly beloved, believe not every spirit, but try the spirits if they be of God: because many false prophets are gone out into the world. By this is the spirit of God known. Every spirit which confesseth that Jesus Christ is come in the flesh, is of God: and every spirit that dissolveth Jesus, is not of God (1 John 4:1–3). 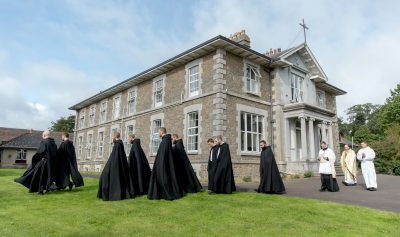 At the origin of a monastic vocation there is always a Trinitarian grace: (1) an impulse to return to the Father; (2) a yearning to behold the face of the Son; (3) an impulsion of the Holy Ghost. This Trinitarian grace corresponds to the well–known theological aphorism: Ad Patrem, per Filium, in Spiritu. • There is the movement of the prodigal son, who says: “I will arise, and will go to my father, and say to him: Father, I have sinned against heaven, and before thee” (Luke 15:18). 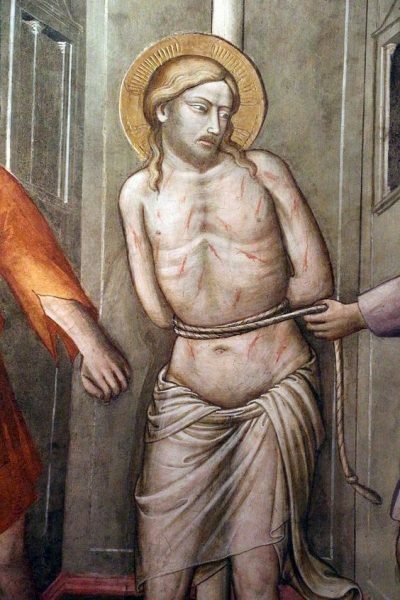 • There is the experience of Saint Ignatius of Antioch: “My love has been crucified, and there is no fire in me desiring to be fed; but there is within me a water that lives and speaks, saying to me inwardly, Come to the Father” (Epistle to the Romans). • But, above all and over all, there is the word of Our Lord in the Fourth Gospel: “I came forth from the Father, and am come into the world: again I leave the world, and I go to the Father” (John 16:28) The whole monastic journey may be summed up in these words of Our Lord, Relinquo mundum, et vado ad Patrem, “I leave the world, and I go to the Father” (John 16:28). • “I count all things to be but loss for the excellent knowledge of Jesus Christ my Lord; for whom I have suffered the loss of all things, and count them but as dung, that I may gain Christ” (Philippians 3:1); and again, “For I judged not myself to know any thing among you, but Jesus Christ, and him crucified” (1 Corinthians 2:2). • And again there is the Eucharistic passion that drives Saint Ignatius of Antioch: “I desire the bread of God, the heavenly bread, the bread of life, which is the flesh of Jesus Christ, the Son of God, who became afterwards of the seed of David and Abraham; and I desire the drink of God, namely His blood, which is incorruptible love and eternal life” (Epistle to the Romans). • And there is our father Saint Benedict himself for whom Christ is everything: “To prefer nothing to the love of Christ” (Chapter IV); and, “And prefer nothing whatever to Christ” (Chapter LXXII). Finally, with regard to the third, in Spiritu, the man who knocks at the door of the cloister with a true monastic vocation, participates in the mystery of Our Lord being driven into the desert by the Holy Ghost. “Thereupon, the Spirit sent him out into the desert” (Mark 1:12). The origin of every monastic vocation is a movement of the Holy Ghost. One has only to consider the life of our father Saint Anthony of Egypt, and of all the Fathers and Mothers of the Desert, and of monks down through the ages. And this movement of the Holy Ghost is always ad Patrem, per Filium. This way of looking at the monastic vocation may seem to you very sublime and perhaps unrelated to your own experience. Know this: the movement by which the Holy Ghost drives a man into the cloister is not something that happens outside of the events and circumstances of a man’s life. The Holy Ghost works through providential events: through people, friendships, encounters, books, and travel, and also through failures, disappointments, infirmities, and losses. Through all of these things, and in the midst of them, there is the Dextrae Dei Digitus, the Holy Ghost, the Finger of God’s right hand, guiding a man and showing him the way in which he is to go.